Manutec has released the OZHITCH3.5Z, a new off road towing hitch set to revolutionise offroad towing. The OZHITCH3.5Z towing hitch is capable of very large offroad angles (85 degrees upward and 70 degrees downward), it has a double locking system, plus a lockable pin for extra safety and security, and it is low profile to ensure risk of vehicle damage is minimised. Manufactured using high quality castings, self lubricating Ertalon bushing and a fully galvanised exterior, the OZHITCH3.5Z towing hitch is fully ADR accredited and tested up to 3.5 tonne. 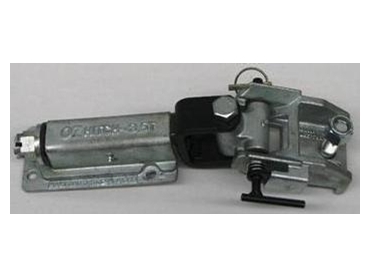 A trailer hand brake assembly has also been newly released to suit the OZHITCH3.5Z towing hitch.